And the best part is, she signed them! 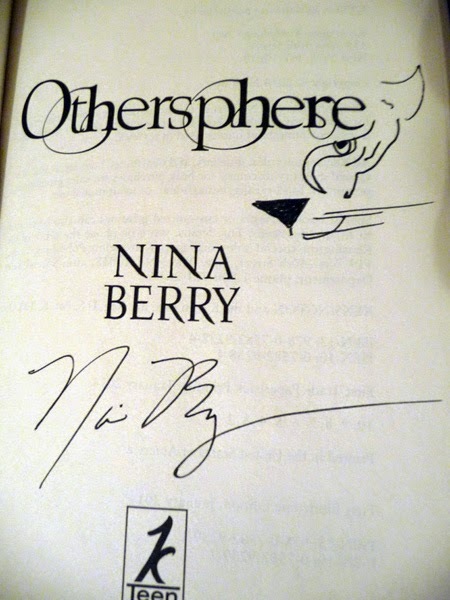 Nina Berry grew up in Honolulu and went to college at the University of Chicago, where she took a lot of film classes, wrote her thesis on A Hard Day’s Night, and graduated with honors. After getting her Masters in Film and TV from Northwestern University, she moved to Los Angeles, where she works in television by day and writes novels by night. 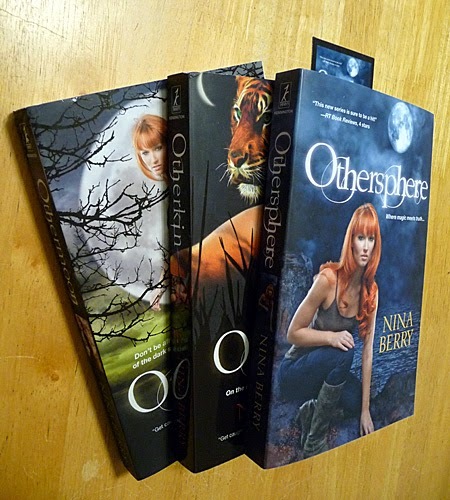 She’s the author of the acclaimed paranormal OTHERKIN series from Kensington Books. The first book in her teen thriller PAGAN JONES series will be out from Harlequin Teen in June 2015. This item will close on July 15, 2014, at 10:00 PM EST. Any bids placed after that time stamp will not be honored. Once the auction closes and payment from the highest bidder is confirmed, a request for a mailing address will be sent to the winner. Shipping will be to U.S. addresses only. I don't really know how to do this, but it's a great cause and great books, so my twitter is @one_sheermixer. I can start off with $30. auction going through 7/15 at 10pm est? And are there bidding increments? Like $5? or $10? Iggy Cat, please direct any further questions to either the email at pensforpawsauction (at) yahoo (dot) com or the Twitter @pensforpaws so that the comments are reserved for bids. Yes, bidding closes on 7/15 at 10PM EST, and there is no minimum to increase the bid. Thank you. Congratulations Jaden, you're the winner! Watch for an email from our Pens for Paws Auction so you can claim your item. Thanks to all who bid!